Choose your photography level on the links below to discover more! How good can your photography become? 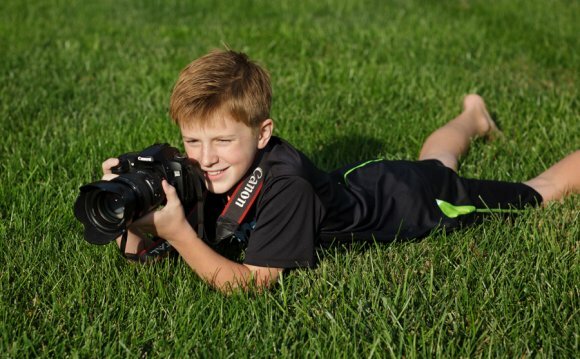 Learning photography should be fun so let's get out of the classroom! My courses take you to inspirational locations where you'll quickly realise that following and implementing my methods will rapidly transform your photography skills. How can it be that simple? Watch my students' video reviews on the photography course pages to learn how. Which photography course is right for you? The excitement of teaching photography and seeing the great photographs captured by my students is always inspiring. As photographers we all have varying aspirations of what we want to shoot with our cameras. This is why the team and I have produced and continue to create courses for beginner photographers, advanced photography enthusiasts and we even provide professional photography knowledge and photography workshops for those looking to solidify their expertise and photography income. If you're new to DSLR cameras then I recommend starting with my Introduction to Photography course - it gets you going fast and transforms your photography with the power of your camera's manual mode. You can even take this training further (and save money) with my Complete Photography Masterclass where this introduction course, Lightroom 6/CC for photographers and other courses are included free! You can set off on your travels and learn Landscape Photography and push the power of your DSLR with Advanced DSLR Photography 1 and Advanced Photography Course 2. Again, these courses make up our money saving photography sets such as the Starter Photography Course and the Complete Photography Masterclass. Do you seek peace of mind when shooting for clients? Do you want to command higher fees for your valuable photography skills? Save yourself years of frustration, hundreds (even thousands) of dollars with photography lessons specifically designed for professional photographers. Working as a successful professional for over 20 years, I've experienced and understand the day-to-day pressures facing pro-photographers. Following the success of my Photography Masterclass courses I developed my Professional Photography Masterclass series. The knowledge in these courses will save you all those years I spent frustratingly gaining my skills through trial and error. I reveal my photography secrets for getting the job done with incredible results, on budget and under pressure! This training gives you the high level knowledge to position yourself above the competition whether shooting fashion photography, advertising photographs, product photography, retouching your photographs or simply running a photography studio. I wish these courses had been around when I started my photography career! Please note: When browsing my photography courses you'll first see an informative trailer that gives a quick insight into that particular course. Beneath is the course description, detailed structure and a selection of relevant course photographs to browse. You can watch student review videos and a support video showing how my students access a greater level of photography tuition. Many courses include a free chapter so you can sample a lesson before buying. Further related photography questions can be answered by our live chat panel. Karl Taylor Photography provides the world's most popular and inspirational photography training, from beginner to pro. He is also trusted as an instructor by some of the world's leading photography brands.